This guide shows what candidates are expected to know and do when writing letters in the exam and what they can do to achieve a high score. 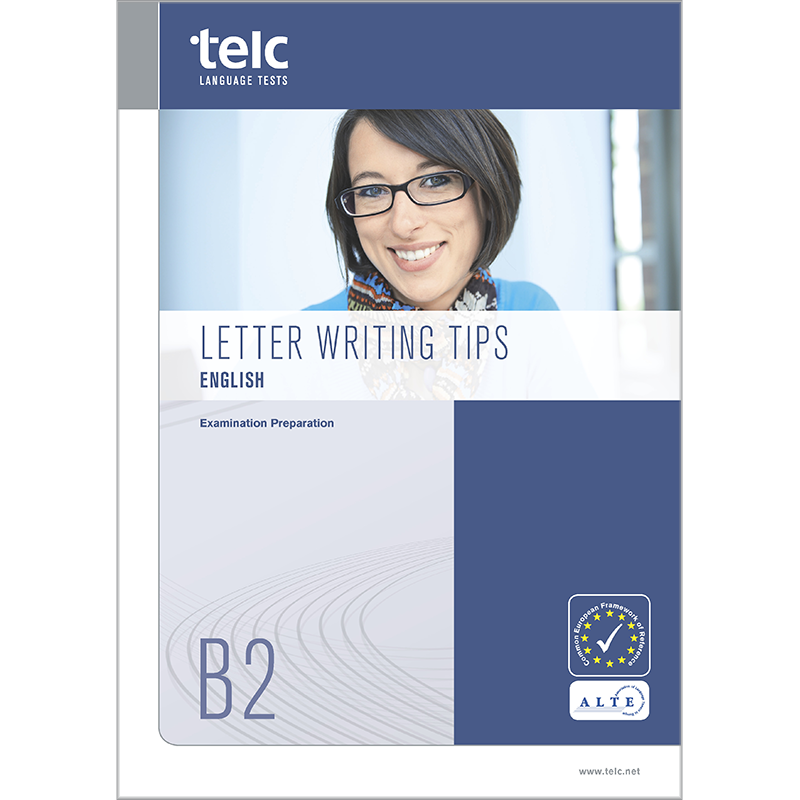 The Letter Writing Tips help candidates improve their writing skills for the telc English B2 exam enabling them to achieve a higher score. The booklet is suitable for use in the classroom or for self-study at home. This booklet consists of two parts. Part 1 covers writing semi-formal letters in general, providing advice on appropriate layout, content and style. Part 2 focuses entirely on the writing task found in the telc English B2 examination, giving valuable tips on how to best fulfill the writing task and information on what criteria the raters are looking for in a B2 letter. The booklet also includes a description of the marking criteria, sample exercises and suggested solutions.